Dave Bautista To Star In New Film Alongside Oscar Winning Actress, "Guardians" Test Screening Does Extremely Well, Batista in Avengers? 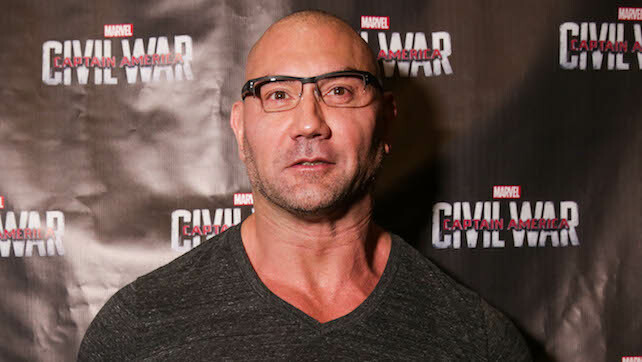 Home » Wrestling News » Dave Bautista To Star In New Film Alongside Oscar Winning Actress, “Guardians” Test Screening Does Extremely Well, Batista in Avengers? Dave Bautista To Star In New Film Alongside Oscar Winning Actress, “Guardians” Test Screening Does Extremely Well, Batista in Avengers? Deadline Hollywood is reporting that Dave Bautista is going to star in a new film with Jodie Foster. The plot of the movie centers around a nurse that runs an underground hospital for sinister criminals. Also, Bautista is back for Guardians of the Galaxy Vol. 2 and in a test screening the film scored an extremely rare 100.